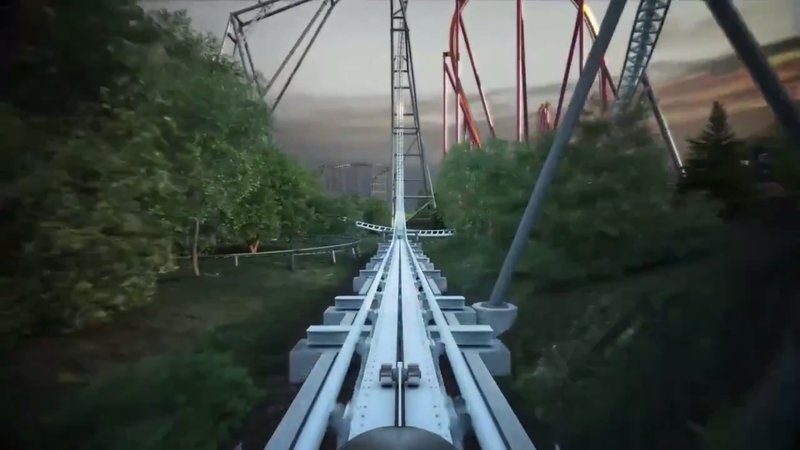 Maxx Force coming to Six Flags Great America in 2019! Last edited by RollingCoasting on August 30th, 2018, 10:33 pm, edited 2 times in total. Mom where's my money . This looks insane OMG. I just wish we got a better look at the overall layout. But yeah it looks insane. I love how it interacts with the train. This thing will dramatically change our skyline that's for sure. 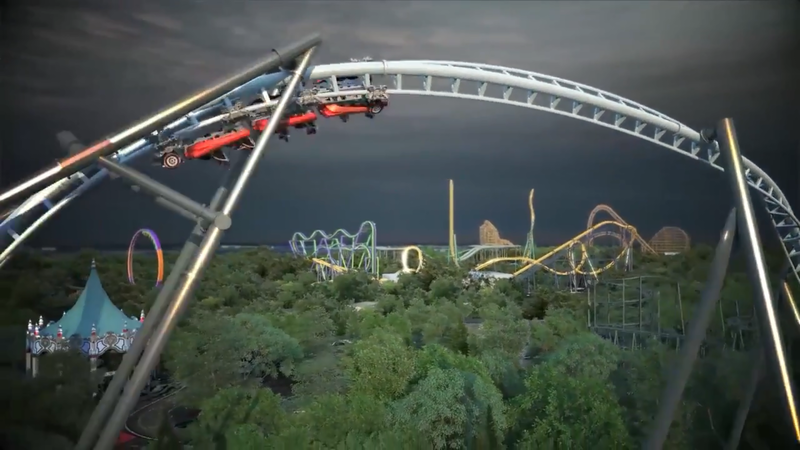 I hate to be that guy but I think we should let the park announce the coaster first before making a thread for it. That does look amazing though. WHAT THE HELL. THAT LOOKS INSANE! Is that Premier? This looks pretty good. Appears the launch actually goes underneath the train tracks. Can’t wait to see the full layout and stats for this. Is this real??? I'm hesitant because I've never heard that news outlet before...if this is real though - wow, just wow. I didn't want to get my hopes up, but just wow!! ^ There's no doubt in my mind that this is real. SFGAM_Hog wrote: ^ There's no doubt in my mind that this is real. Then that is going to be absolutely phenomenal!!! Holy what the actual fxxk?!! gottastrata33 wrote: Holy what the actual fxxk?!! Hmm... seemed like a lot of inversions... it’s hard to count on that video but maybe 6-7?!? briphotoguy wrote: Hmm... seemed like a lot of inversions... it’s hard to count on that video but maybe 6-7?!? 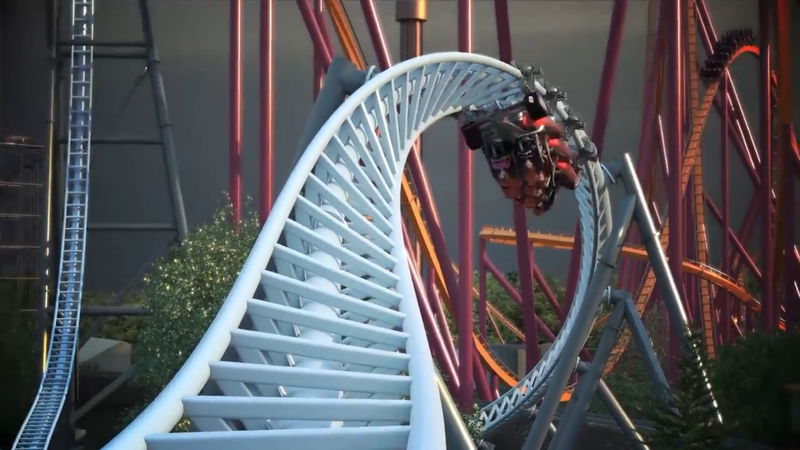 The video kept replaying the same inversions and maneuvers lol. I hope there's more to the ride than that. 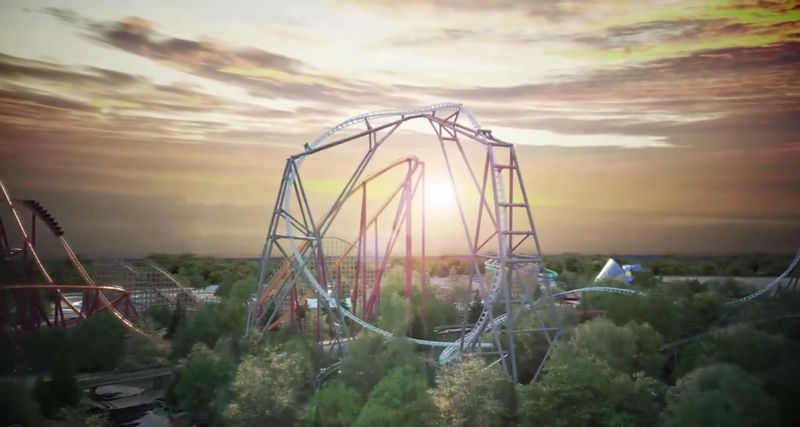 That first "pop" of airtime will probably be some of the best airtime in the park. Coming right out of an insane launch? I was hoping it would be white and black. I kind of wish it was more air time focused instead of inversion focused. I feel this puts the nail in the coffin for V2. 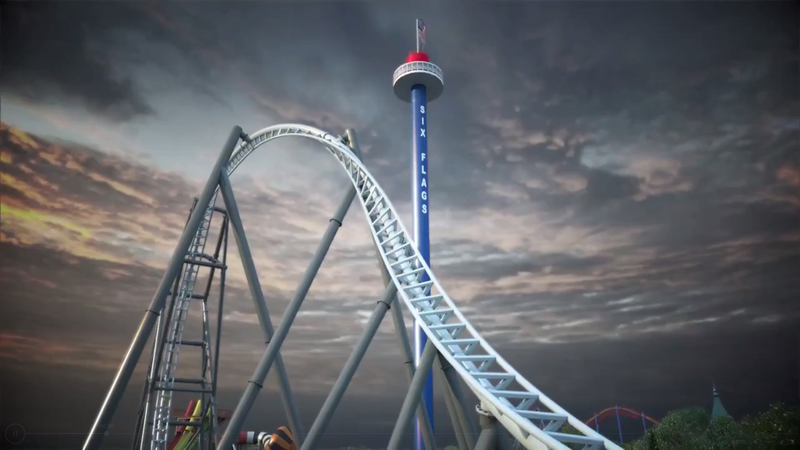 Bravo Six Flags. I feel like you'll have a hard time finding anyone upset with this addition. Mean Streaker wrote: I was hoping it would be white and black. I kind of wish it was more air time focused instead of inversion focused. I do really like the colors too. I also agree that I think we'll be saying bye bye to V2 soon and not to Demon since this ride gets pretty close to it. This is gonna sound petty but all my friends said it was gonna be a water coaster while I said launch coaster; I can't wait to laugh in their stupid faces tomorrow!! On the downside, this ride (like legit every other newer ride in the park) looks too damn short. But I like to think of it as quality over quality. That first loop though!!!! I'm really hoping this isn't the case, but does it brake into the station?? LOL yasss point in my face, drag me, make fun of me. I deserve It. This is better than anything I could have expected. I set my expectation so low.